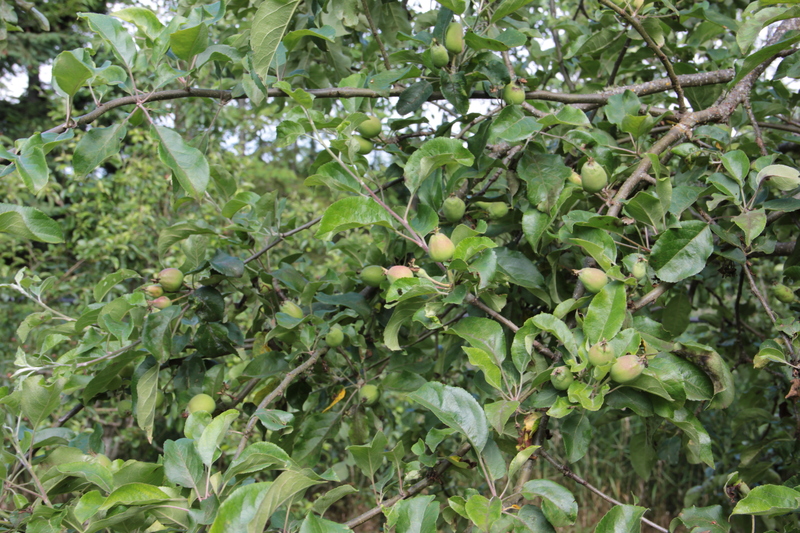 The orchard trees bear some adorable miniature fruit right now. 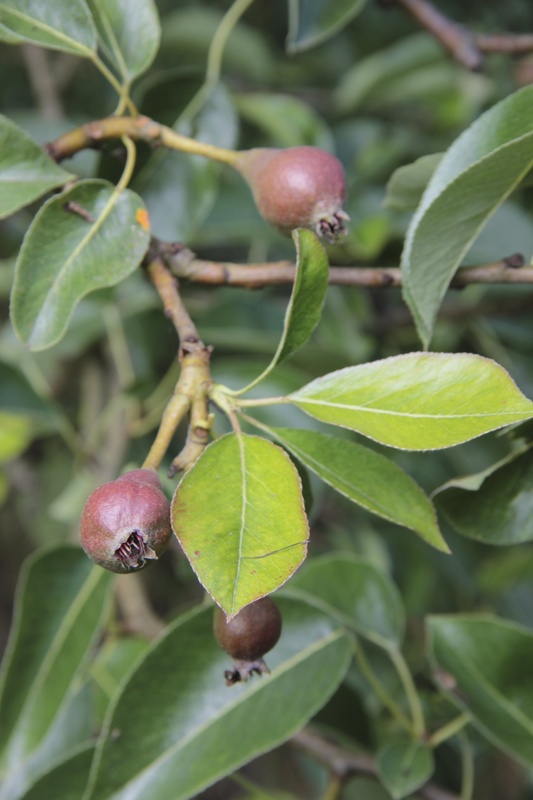 It’s been fascinating to watch the development of all the fruit since the trees’ blooming period which I documented here almost a couple of months ago. 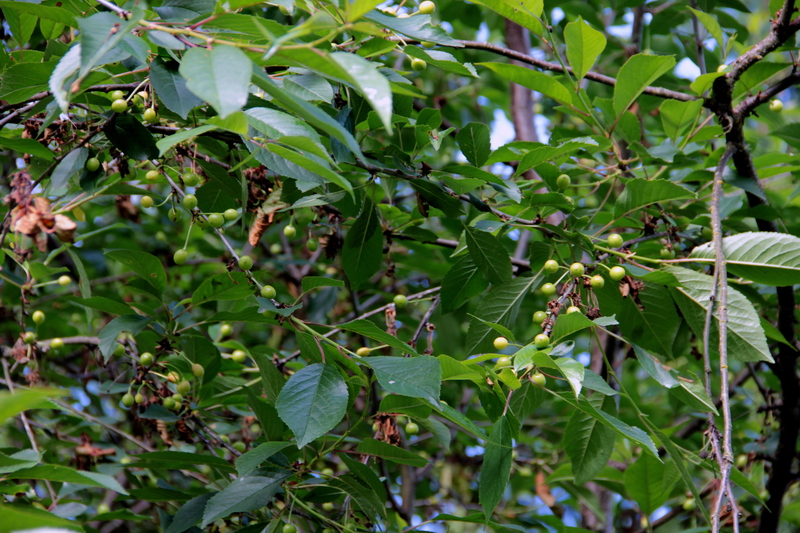 At certain times of day the still-green cherries pop vibrantly against the leafy branches. 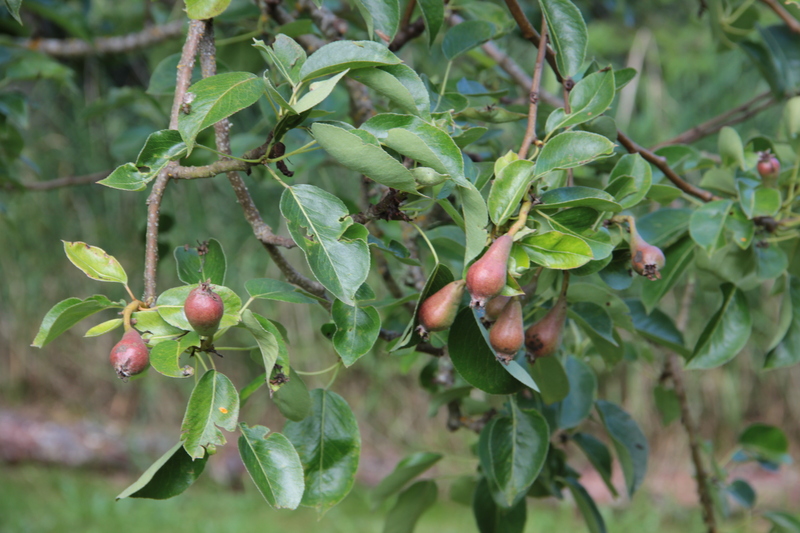 The young pears and apples are doll-size — just a couple of inches long. 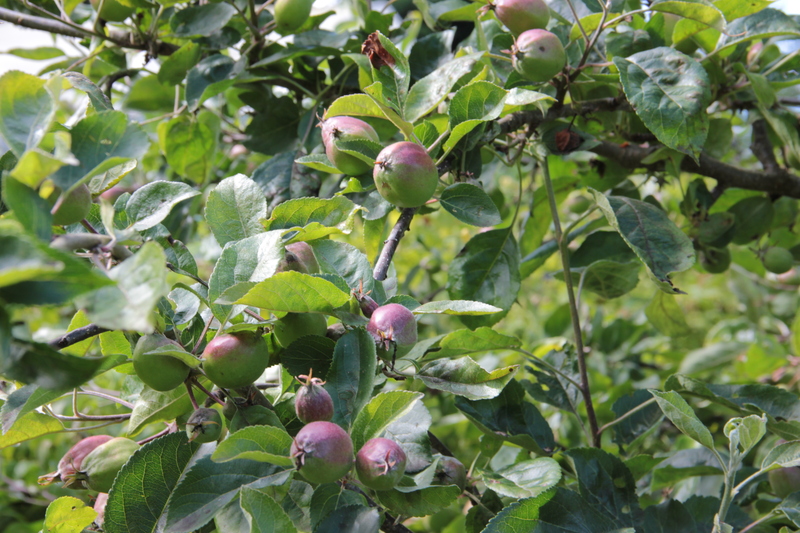 The previous owners told us that there are a few varieties of apples, so it will be fun to watch what ripens when. 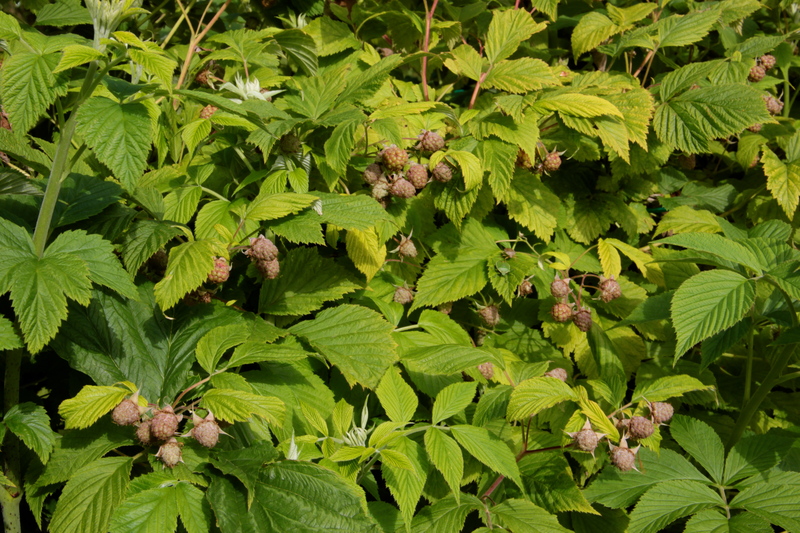 And near the apples, the long raspberry hedge is slowly ripening, each day revealing more pink tones. 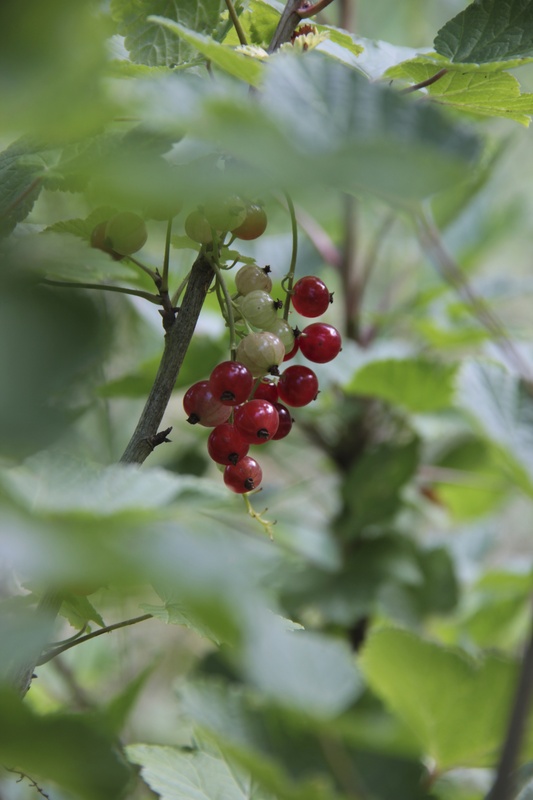 They’ll be our next big fruit harvest, following the strawberries which we pick daily. 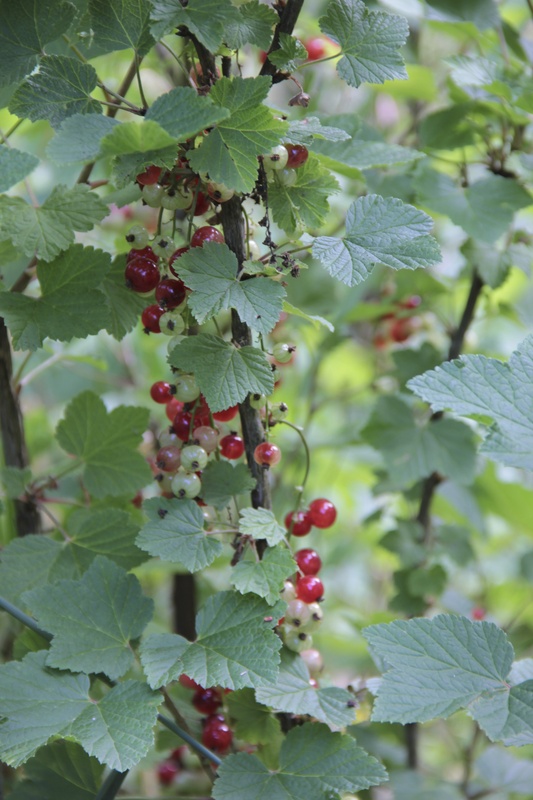 We have six very large currant bushes, Ribes rubrum, at Coppertop that reach six to eight feet in height, and we’ve been picking the tart, mildly sweet currants as they turn deep red. They are loaded with vitamin C and too many seeds — good fiber, but not so fun to cook with. I love the way the bright fruits glow in the sun. 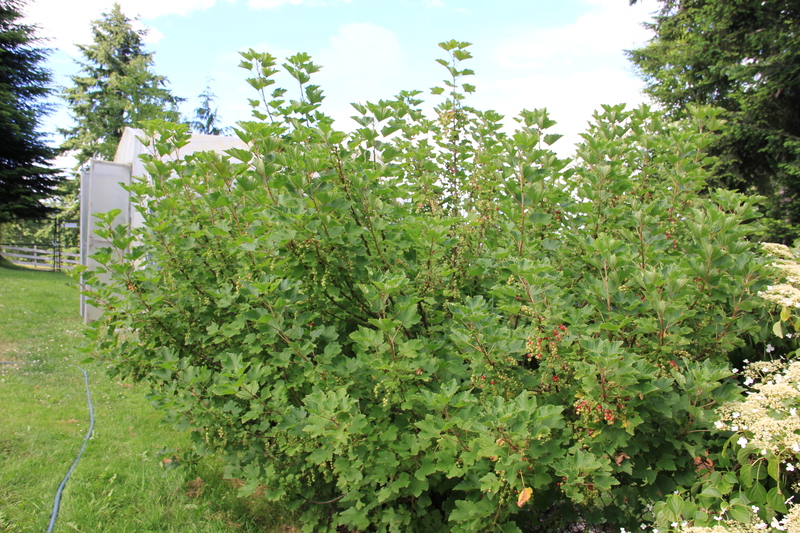 We will definitely prune the bushes when they complete fruiting. We’ve had to tie up their branches to get the mower around them! 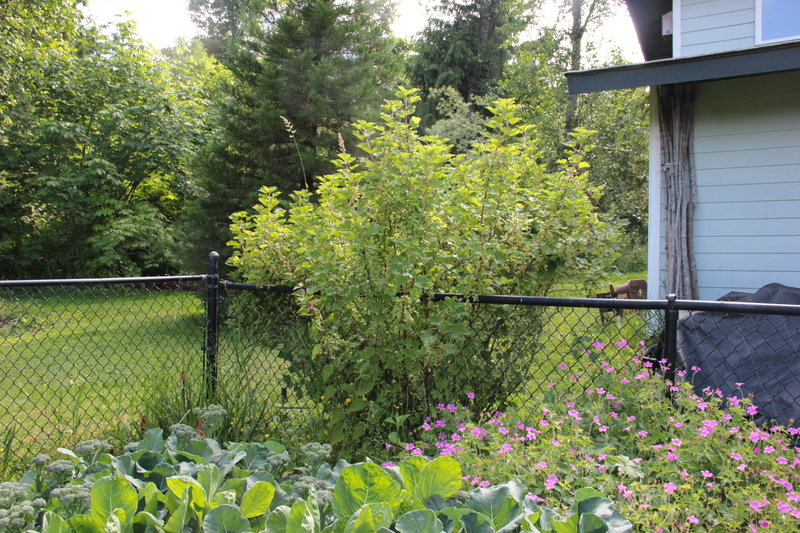 This entry was tagged apple orchard, apple tree, apples, cherries, cherry tree, currants, fruit trees, gardening, Olympic Peninsula, orchard, pear tree, pears, raspberries, ribes rubrum, sour cherries. Bookmark the permalink.